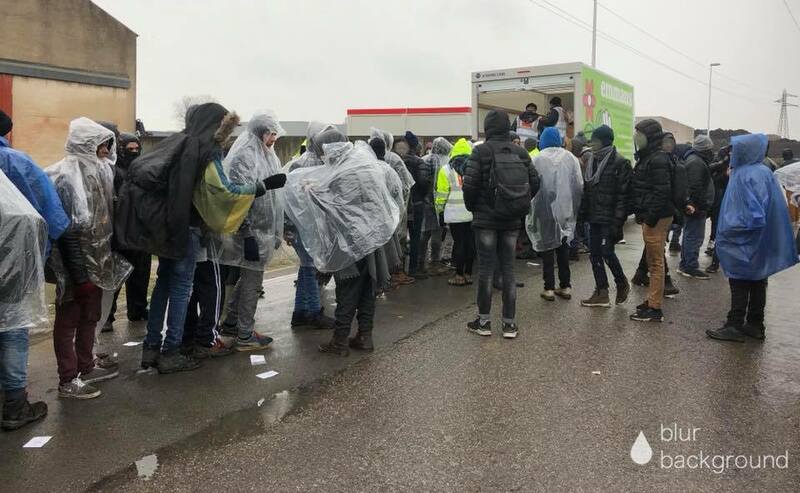 Today, on a long, freezingly cold, incessantly wet day in Calais, we were actually able to do some very successful distributions! Thanks to the fabulous #boots1000 group we distributed another 100 pairs of brand new walking boots. The need never ends. Conditions are so cold and wet, and the refugees are outside all day. Four different people actually hugged me today they were so happy to get dry feet. One man lifted me right off my feet. Boots continue to be a number one need. We also distributed 30 bashas donated by Jungle Canopy, the only answer we have right now to the police continually removing tents (criminal in these winter conditions), and 60 power banks, so important to the refugees who have cheap phones and limited access to electricity. So a long, hard and tough day for the volunteers, but much achieved. And a grim reminder of how bad it is for our friends who have no homes to go to when we are soaked through and tired at the end of the day.